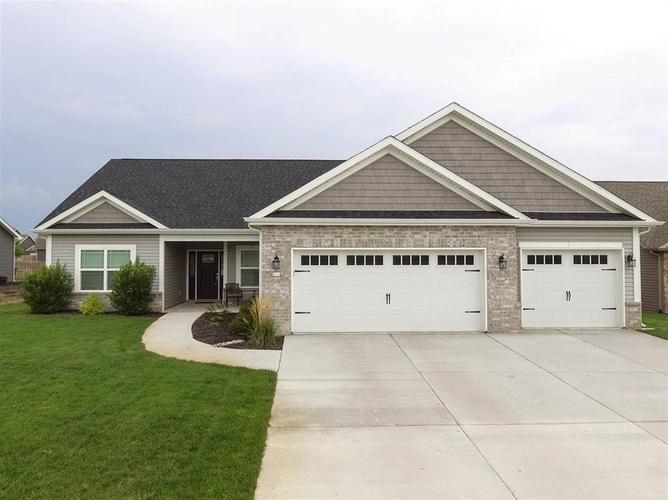 This lovely custom built home is like new! Featuring over 2000 sq. ft, 3 bed, 2 bath, custom engineered hardwood flooring, quartz counter tops, soft close cabinets, gas range with commercial grade exhaust hood, master suite with trayed ceiling, upscale master bath with walk in tiled shower, large soaking tub, double vanity and large walk in closet. A private office area off of the great room with french doors. Relax outside of this home with a covered porch and back patio with a pond view! Directions:450 S to Robert's Ridge right and follow road to home on left.